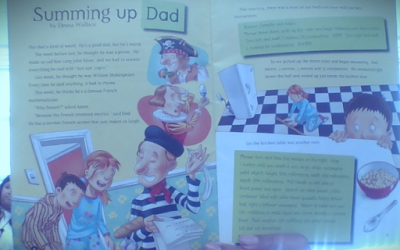 Today my reading group and I were reading a story call 'Summing Up Dad' it was about a dad and his children. 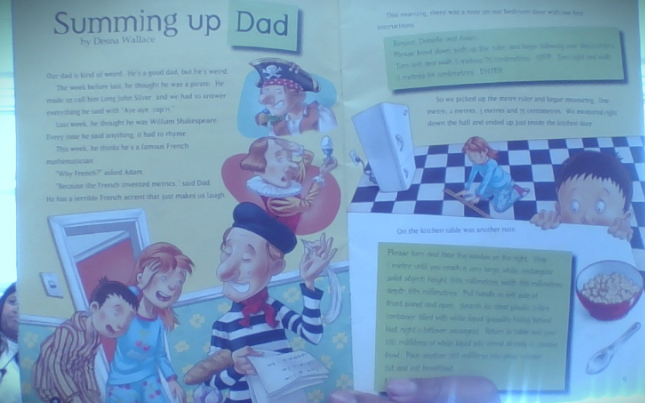 The dad was acting every week as a different person like on one week he pretender be William Shakes spears. Then on the next day he was pretending to be a french mathematician. Then the next day he part out instructions for the kids to follow. The instructions was about measuring.